This month’s theme was careers in marketing! Our speakers: Müge Kütük (Danone), Merve Altundağ (Google) and Selin Karaçoban (Anadolu Efes), CampusWIN alumnae from different classes. Müge graduated from the Bosphorus University with a degree in Philosophy in 2016. As a student, she had a lot of internships at: Karbonat, Concept, Medina Turgul DDB, and Coca Cola. After graduation, she started to work at Danone as an Assistant Brand Manager of Aptamil. She says '' As a young woman, it is quite exciting to understand the mother-baby category where I do not have firsthand experience (no kids). 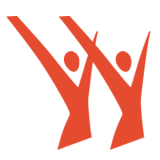 I work on collecting insights, explore this consumer group and carry out marketing activities of this fantastic brand''. She emphasized on the fact that working at FMCG companies leave people no choice but to work cross-functional. In addition to that, one's position in the middle of this cross-functional way of working. All the other departments are functional departments that feeds you. Selin Karaçoban graduated from Bilgi University Department of Industrial Engineering in 2017. She was the CampusWINner at TurkishWIN throughout her university life. She had internship experiences at UPS, and L'Oreal. After graduation she started to work at Anadolu Efes. She gave her secret of graduation with a high GPA: loving school. From her point of view, having high GPA is an obligation only for the master’s degree. She suggests that increasing the number of experiences for work life, because only communication with the other people makes someone successful. Merve Altundağ, graduated from Boğaziçi University Department of Business Administration in 2015 and she was the leader of BounWIB. She was a CampusWINner at TurkishWIN throughout her university life. After graduation, she started to work at Unilever, specifically worked on products of Max and Yumoş. Now she is working at Google. She explains her career choices as '' I enjoy working in brands that make life easier for people or add pleasure to their lives''. 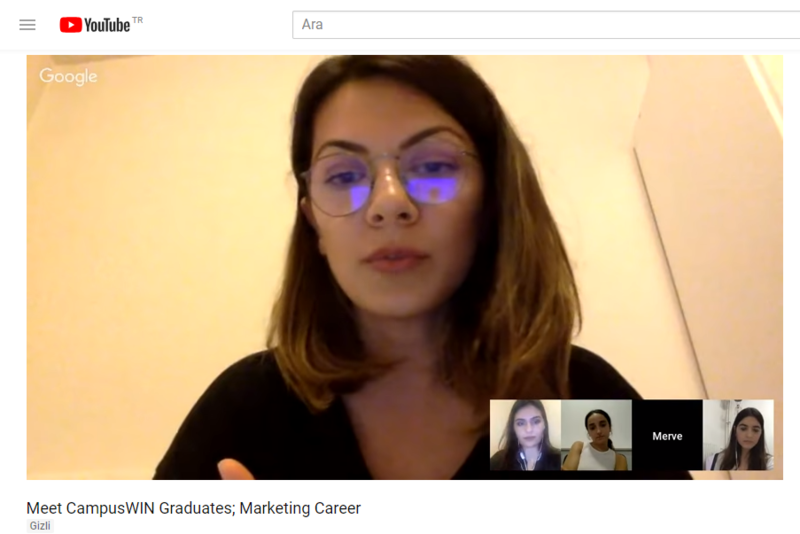 While she was sharing her opinions about being part of TurkishWIN as a campus leader, she was highlighting the function of TurkishWIN as learning "how to do" before internship or work life. She was describing her Campus WINner status as "a place where I was able to exercise, and improve my muscles".